I wanted to share with all of you today a recent swap I did with my friend Melinda. 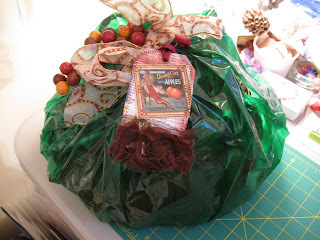 I joined Michele's "Fall Intrigue Basket Swap" and I was partnered with Melinda. We both received our baskets from one another. so sweetly as you can see. Thank you sweet Melinda for such lovely Fall gifts. You have helped in brightening up our home this fall season with your kindness and generous spirit. Thank you!! Wishing All of you a splended Fall Day where ever you live! !